It is with pleasure that I take advantage of the opportunity to write the foreword for this book, which is the work and effort of scholars to explore new ground and participate in research that infuses innovative methods and thinking into academic investigations around people’s lives. Innovative contributions are being made in literature, in history, in geography, in religion, and in education. These contribution are providing the basis for new ways of understanding the contextual nature of technological application practices emerging from humanities research and instruction. Not only is this book of great value to the digital humanities researchers, but it is equally important and instructive to scholars who are interested in the interdisciplinary research from diverse fields. I hope this book will inspire you to pursue innovative research within existing culture. 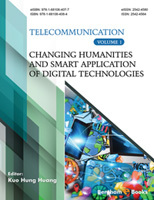 As the title of this book implies, its purpose is to utilize a perspective derived from humanities to consider some of the potential uses of computers in humanities teaching and research. Our intent in producing this book is to provide readers with exemplars of the types of combining computers and subject matters in social science and humanities. Accordingly, our contributors address a variety of computer applications to education and research, which range from humanities, such as literature, geography, history, and religion, to the more technical domains of GIS, mobile devices, and networks. If this book has any major objective, it is to draw attention to the inter-disciplinary nature of digital humanities, which remain controversial in scholarships or methodologies among academic communities. In doing so, the issues addressed draw on the themes of researching and teaching from a number of subject areas. Our strategy for introducing and synthesizing these issues is to hold an independent and open view of technology adoption. We try to present the various concerns of digital humanities as they emerged in discussions at academic gatherings. The book is organized loosely into four sections. In Part 1, a chapter by the editor focuses on the situation of digital humanities in scholarly community. Although the advantages are acknowledged prevalently, the debate on applying digital technology on humanities research still continues. The ongoing controversy surrounds the academic values and social acceptance of digital humanities. Thus, more innovative applications in various fields, such as history, religion, or language, should be attempted, reported, or even criticized to inspire elaboration on the forms or values of digital humanities. In Part 2, four chapters report on adopting spatial technology in humanities research in religion, Chinese literature, geography, and history. GIS (Geographic Information System) is widely used for professional purpose or daily task. With tremendous accumulation of spatial data such as satellite images, street view pictures, and digital maps, GIS provides the humanities researchers with a spatial perspective to explore the connections between places, time, events, or even sentiment. In Chapter 2, the authors introduced the use of Google Earth to conduct an exploratory study on the forbidden religious topic- burial site. In Chinese culture, death is associated with mysteries and taboos. Particularly, conversation about afterlife arrangement with the elderly is seen as an offending behavior. Visualizing the places of good Feng Shui, GIS with 3D views serves as a communication medium for understanding old people’s feelings. In Chapter 3, the authors share the innovative instruction experience in a Chinese literature course by combining GIS and famous war in history. Through visualizing maps and animation, students are able to better understand the spatial movements and use of military strategy and tactics while reading paragraphs about a famous war in “Shi-ji”. Chapter 4 demonstrates how GIS is capable of researching on history data by analyzing the distribution characteristic of commemorative shrines and steles of the Song Dynasty. After cross-checking the historical documents, these geographic evidences can play a crucial role initiating the cooperation between two fields. The authors of chapter 5 show that GIS transformed history data into drawn maps regarding a historical event, namely Batu Caves Turmoil. And thus, these maps can help to illustrate the cause, the process of and solutions to this event. In Part 3, three chapters describe how to utilize network applications to support educational activities. Internet usage grows rapidly and tremendously. More importantly, innovative services are developed and incorporated into virtually every aspect of modern life. For example, Internet applications like cloud computing, virtual community, social media, digital library, or MOOCS are creating new forms of social interaction. Also, the online educational materials and activities enable self-learning and encourage new ways of learning, collaboration, and information sharing. Through the cases in chapter 6 to chapter 8, the Internet applications have proven to be a significant influence on education. Chapter 6 introduces the network educational system for Shogi, a Japanese chess game. As an important form of activities to improve skills, post-game discussions frequently take place among Shogi players. The authors designed SAKURA (Shogi Archives and Kansousen Utilities for Research and Advice), an Internet architecture for Shogi. With servers for shared database storing game records and comments, SAKURA supports discussions with shared boards and graphical interfaces visualizing variations of moves. In Chapter 7, the authors describe the process of adopting ODIS (Official Document Information System) in educational administration. Initially, directors and staff resist ODIS to operate on information system because of inconveniences and environmental changes. After constantly interacting with the leadership assignment as leaders or followers, directors and staff gradually accept the new way of distributed leadership. Therefore, work effectiveness is evidently improved. Chapter 8 describes the establishment of eK4 (e-Knowledge Consortium Shikoku) as a local university alliance to provide e-Learning courses related to Shikoku island. For the purpose of facilitating deeper understanding of humanities contents regarding Shikoku region, the consortium organizes e-learning contents of the characteristic lectures at eight universities and implements features of distributed Learning Management System and Shibboleth identification for credit transfer. In the last part of this book, three chapters examine the effects of the technology on human behavior from a theoretically orientated perspective. Chapter 9 clarifies Transactive Memory Theory that human has the ability to store memory with the aid of the externally stored memories with the advancement of information technology. In chapter 10, the authors present an empirical study indicating that the use of mobile technology as a medium is able to facilitate bilingual language acquisition. Chapter 11 claims the urgent needs for moral development of the Internet users because the anonymity and online free expression significantly characterizes the virtual world which is full of moral dilemmas and value conflicts. While not attempting to provide a comprehensive examination of all the possible uses of computers in humanities, we purposefully invite contributors to reflect their theoretical philosophies and hand-on experiences, with which we are concerned, as well as a wide range of practical applications. Hopefully, this book will draw the attention of or bring inspiration to digital humanities among academic communities.